shmuTV were asked to produce short films to be screened at the Star Awards ceremony. 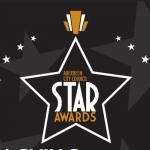 Staff from Aberdeen City Council were treated to a lavish awards ceremony to celebrate and recognise staff achievement. Employees of the council were celebrated across all departments and the night was a huge success for all. 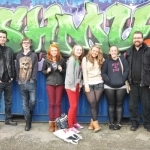 This year shmuTV visited Dublin to take part in a European exchange programme. Community broadcasters from across Europe met to discuss current practice and how to share content. shmuTV are also presently working on a bid for the local community TV license which will be up for grabs in the NE of Scotland this year. Youth TV is gearing up for the Aberdeen International Youth Festival and is presently in planning for the forthcoming event. The Youth media team will be filming and recording shows for broadcast on radio and shmuTV.